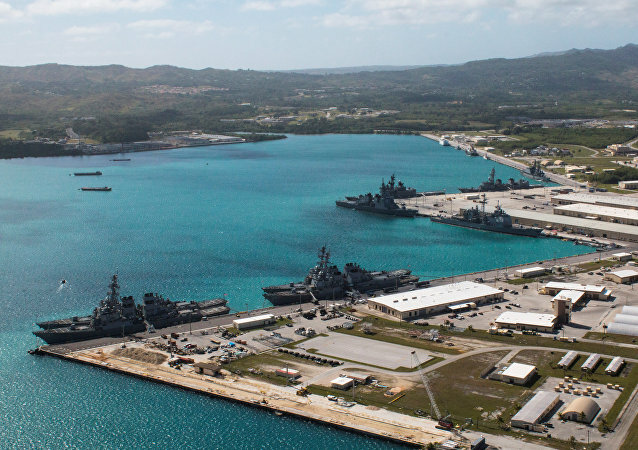 The US will join Australia in the redevelopment of a naval base in Papua New Guinea, countering China’s influence in the Indo-Pacific region. 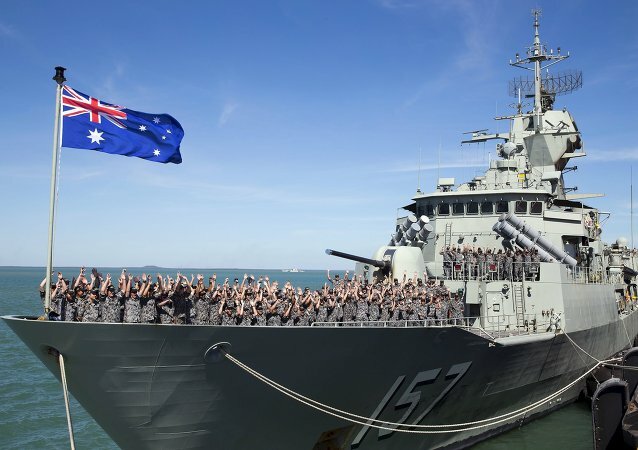 Australia will let its warships make port visits to Papua New Guinea’s base on Manus Island reportedly in order to increase Canberra’s strategic influence in the region. MOSCOW (Sputnik) - The second group of refugees, comprising people mainly from Afghanistan and Pakistan, has left Australia’s detention camps in Papua New Guinea’s (PNG) Manus Island for the United States under a resettlement deal between Washington and Canberra, SBS broadcaster reported Tuesday, citing refugees and advocates. 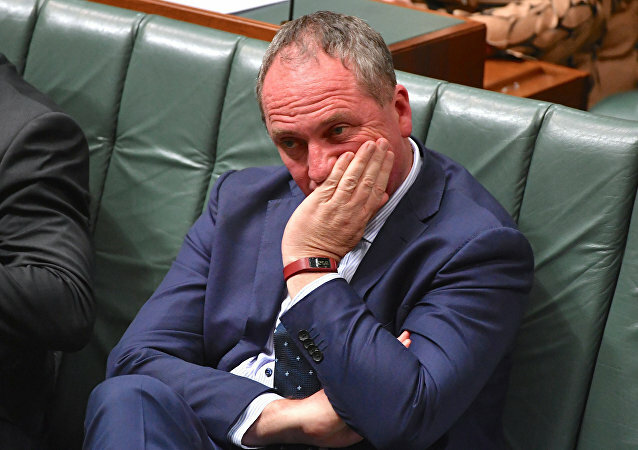 Barnaby Joyce, Australia's recently re-instated Deputy Prime Minister, has called on New Zealand to not to involve itself in Australia's stance on immigration issues, citing the need for the country to retain control of its own borders. A day before the deadline for forcible removal, Papua New Guinean officials have begun dismantling makeshift shelters at Manus Island detention center built by the remaining refugees who refuse to relocate. Footage from inside the camps depict "appalling conditions." Australia has been paying to Papua New Guinea and Nauru to shelter asylum seekers, among which are also Rohingya Muslims from Myanmar, who try to reach the country's coast by boat. 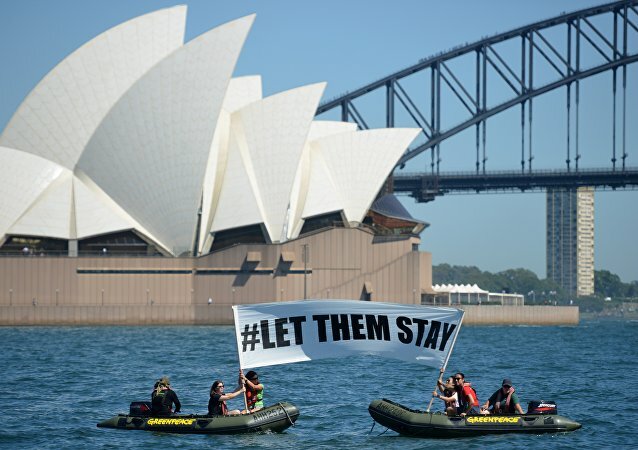 Although Australia recognizes that they are refugees many of whom cannot return to their homes, it refuses to accept them. Inmates at Manus Island detention center, a controversial structure used by the Australian government to detain illegal immigrants, have barricaded themselves inside, fearing they will be met by "unchecked violence" from locals if they emerge. The Manus Island detention center in Papua New Guinea is gradually closing down, media reported on Wednesday. Refugees placed in the Australian government-run refugee detention center on Papua New Guinea's Manus Island must be relocated to safety following a shooting incident there, a human rights watchdog said Friday. A team of contractors arrived to Australia's offshore detention camp on Papua New Guinea's Manus Island to interview refugees in the center before resettlement of refugees to the United States as part of the Washington-Canberra agreement, local media reported. 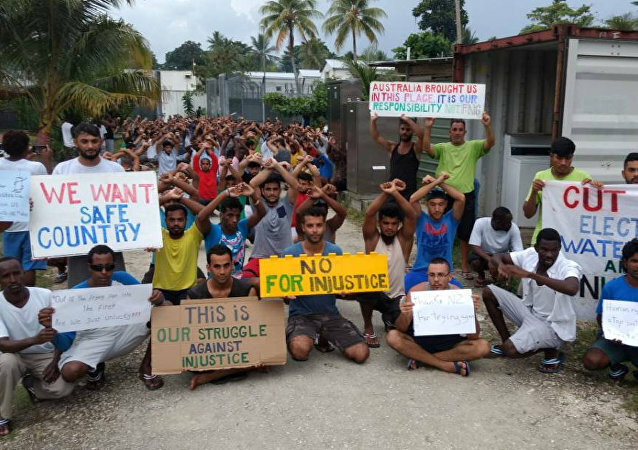 The Australian government's offshore immigration detention program in the Pacific could be a crime against humanity, a group of legal experts have alleged, with the International Criminal Court (ICC) urged to investigate the claims.